Ultra Pure 99.9% Source of bio-available sulfur. 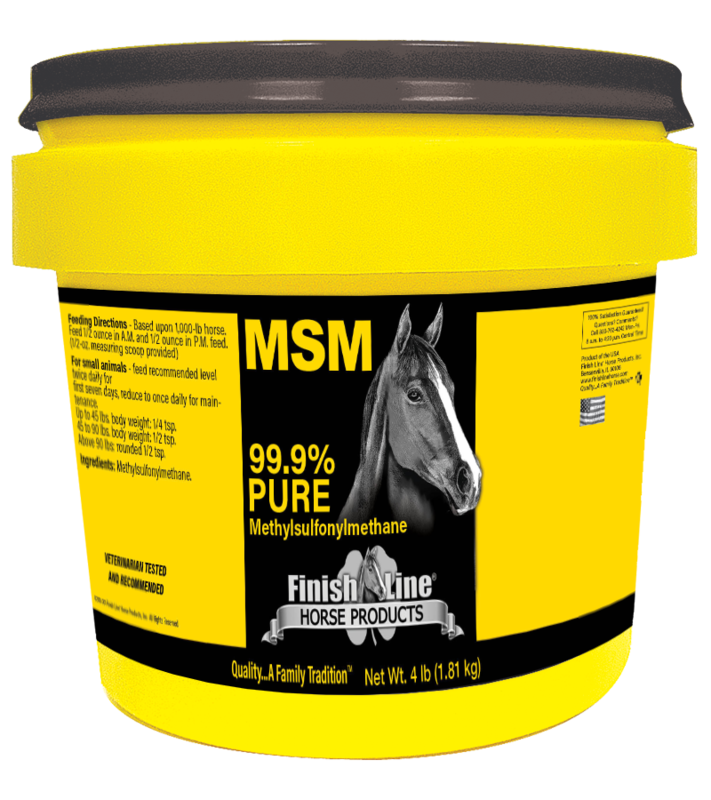 Finish Line®’s MSM is an ultra pure 99.9% source of bio-available sulfur. 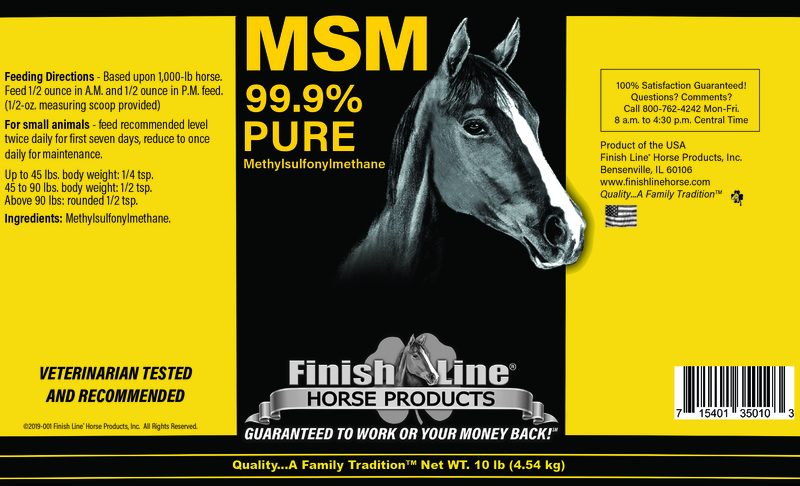 MSM, or methylsulfonylmethane is thought to support a healthly inflammatory response. NO fillers, NO artificial colors, and NO flavors.